Properly welcome each new patient to your practice. 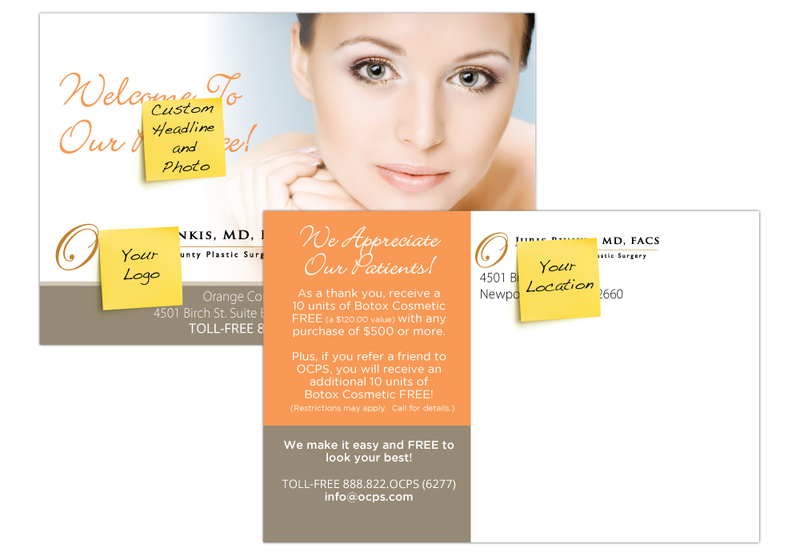 Pinnacle Marketing Group has designed these proven effective, premium 6” (w) x 4” (h) direct mail cards, to thank new patients and drive repeat business. We recommend you mail (1) new patient card to every new patient within 2-3 weeks of visiting your practice.